An earlier community named Palo Alto had been established two and a half miles NE of what would become Killeen in the early 1870s. The Gulf, Colorado and Santa Fe Railway was expanding in 1881 and platted a seventy-block town, naming it after the assistant general manager of the railroad - Frank P. Killeen. When the first train arrived - there was a crowd of some 40 residents there to greet it. 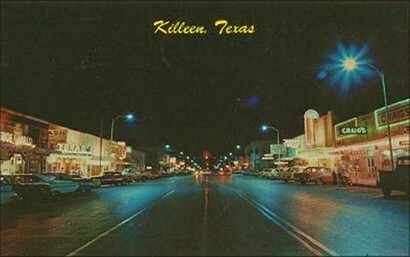 Populations from smaller communities were drawn off and added to Killeen's population which was further bolstered by people attracted by a national campaign run by the railroad. By 1884 the town had 350 residents with a substantial number of essential businesses. It became a shipping point for cotton, and was wired for telephone service by 1896. The town was wired for lights in 1904-05 and bridges were constructed over Cowhouse Creek doubling the city's trade area. A public water system was set in place by 1914. 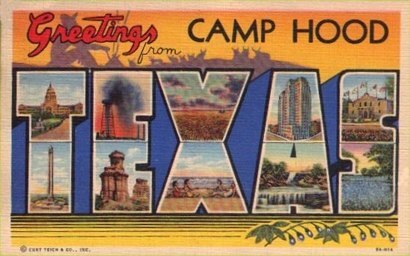 Highway 190 was built through the town during the Great Depression and then Killeen changed forever in 1942 when Camp Hood was built. Overnight it became a military boomtown with thousands of workers as well as the military personnel stationed there. Housing was so scarce that a tent city was set up to accommodate construction workers. Camp Hood covered almost half of the city's trade area and whole communities disappeared into the base. The government had bought over 300 farms and ranches and the displaced cotton gins and other businesses seriously hurt the traditional economy. New industries developed to service the fort which remain in place to the present. After WWII, Killeen nearly became a ghost - but it was revitalized when the base became permanent (and was renamed Fort Hood) in 1950. The city's infrastructure was strained to the breaking point so in 1955 a master plan was drawn up for a massive building program. Just when things seemed to be catching up, cutbacks in the military caused another recession. 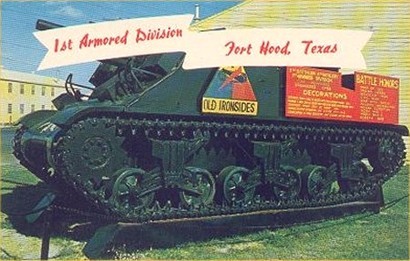 In 1959, the First Armored Division was stationed back at Fort Hood and the population increased - again - surpassing by 2,000 the level of the mid 50s. 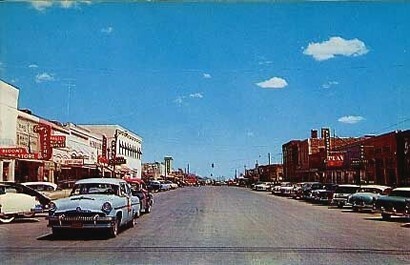 The 1980 Census showed Killeen to be the largest city in Bell County.